They are fighting for natural, pure, food and water and against the wicked big business “fluoride industry” which is disposing their contaminated waste by dumping it in our water supply. And how often do we get the David vs Goliath analogy – even when it is the anti-fluoride activists who have dominated submissions to local bodies? 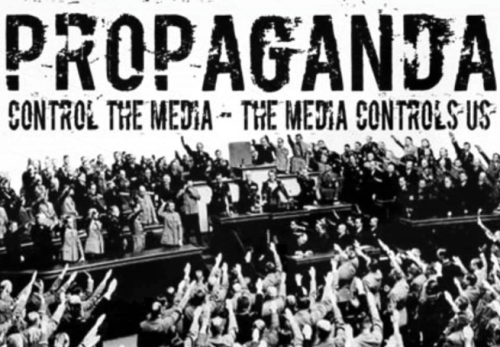 Featured Image credit: How Britain’s Propaganda Machine Controls What You Think. Incredible overlap albeit in reverse with water quality – I work in the agricultural sector having studied for my PhD and pursued a post-doctoral in NZ, UK and USA on environmental change, only to find my contributions to understand the science of problems faced by our communities here about their water quality immediately discredited by my apparent bias (I work for a not-for-profit industry research group but contribute as a technical “expert witness”), character assassination and if all else fails, by dismissing the claims as “not stacking up to their research” – at no point is a rational, open discussion had about why those differences should arise, whether they are meaningful and if they should prompt revisiting recommendations (i.e., source/quality of data, their patterns or whether proposed actions will promote the improvement wanted in water quality). The dissection of pseudoscience and politicised science in water quality is something well overdue, not simply for the wellbeing of scientists working in the field or better public understanding of the science, but physically, in promoting actions best suited to reaching community targets. Thanks for such an enlightening article and hope it stirs other scientists to think about the arguments not simply of university academics being threatened to refrain from comment on Fl issues!